Call our team or use our order form to order your DealerWorks website. One of our designers will contact you to chat about the look and style of your new site. You will be sent a preview of the site design for comments and approval. If you would like any changes made, let us know and we will update the design, tweaking until you are completely happy. The site is handed to our in-house build team for construction and setup. 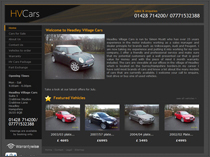 We will show you how to add vehicles, extra pages & edit site information (very easy!). Who built DealerWorks and who makes the websites? DealerWorks is a specialised package from 2Dmedia Limited. We're a web design and development firm who have been building a wide range of business web sites, online shops, management systems and brochure websites for over 9 years. We created DealerWorks in response to the enquiries we received from car dealers who had limited budgets, but needed an affordable way to get a good, professional web site that they could update easily. The turnaround time on a used car dealer web site is usually just 2 weeks! With DealerWorks, you get a professional, custom made web site design - not a 'one site fits all' template that puts off potential customers. A custom design means a better image and representation of your business. 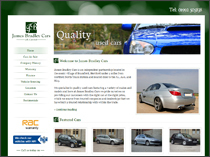 And best of all - you can edit your website text, vehicle photos, prices, contact details and company info whenever you like - all online anytime you like. You won't need to pay a web designer to visit your car dealership every week - you can upload vehicle photos straight off your digital camera - we have made the process plain and simple, no fancy skills required. Our software even resizes and compresses your images, keeping them clear and sharp, yet fast to load - no need to buy and master advanced graphics software. 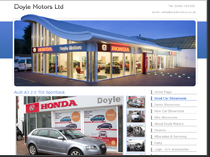 DealerWorks is the perfect, easy and cost effective web site package! If you're in the mail order industry, please take a look at one of our other products - MailOrderWorks the mail order software system which provides order management, stock control, prints invoices and more. For high end, bespoke web design, development and online shop design take a look at the 2Dmedia examples page.